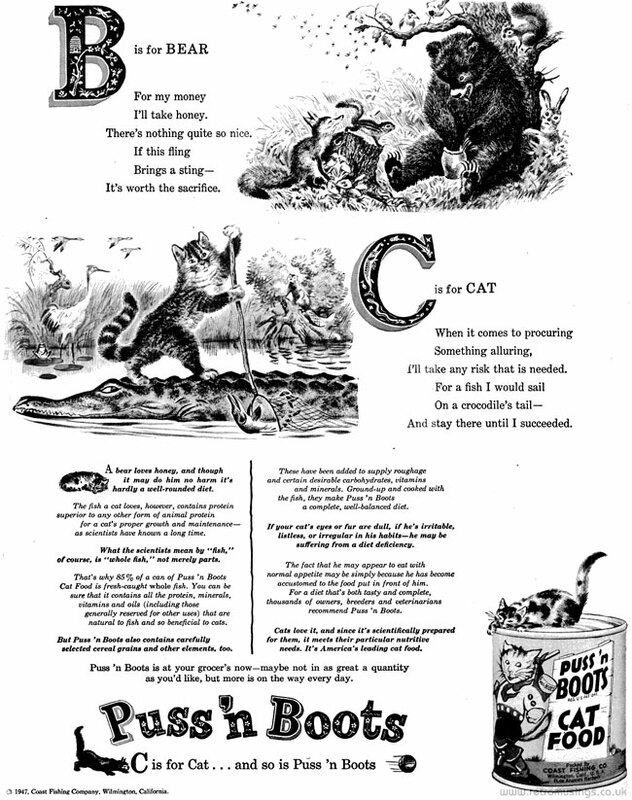 These ads for Puss ‘n Boots cat food date from 1947-48. There were ten in total, all featuring illustrations by Feodor Rojankovsky. 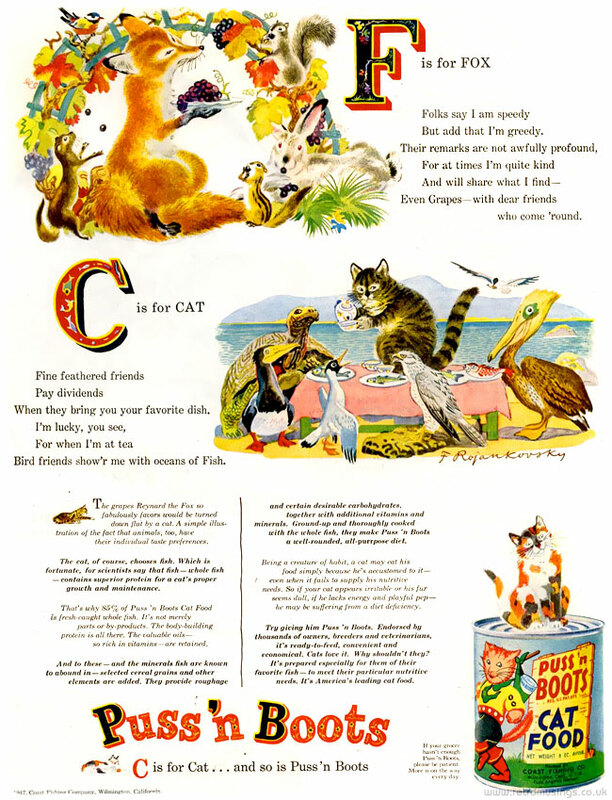 Each ad showed a different animal and corresponding letter of the alphabet, nine of which (excluding B is for Bear) were compiled into a promotional children’s partial ABC book in 1949-50.